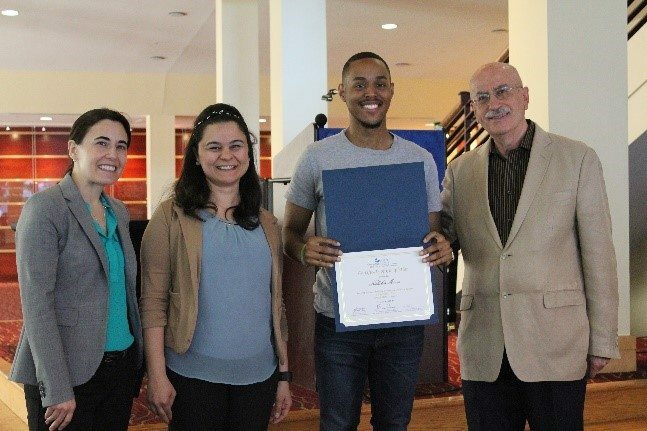 A demonstration project of GSU-CIBER, the Global Competency Certificate (GCC) program initiative was first piloted with an RCB class during the Spring 2017 semester. The overall purpose of the GCC initiative is to make an impact on the professional development of RCB graduates as globally competent leaders. Today’s business managers are required to be knowledgeable about global issues, and mindful of navigating cultural complexity, building meaningful relationships, and cultivating sustainable resilience. This report first discusses the context and motivation of conducting the GCC Pilot Program among RCB undergraduate students. Next, we describe the content and procedures of the GCC Pilot Program as part of an elective course on international business. Third, we share data on student GCC profile change as a result of the pilot project, as well as participant feedback. Fourth, we offer recommendations for future implementation. To be an effective manager in today’s global business environment, it is vital to be able to work effectively across cultures – working effectively with people of other cultures and backgrounds. Global competency refers to the ability to navigate, communicate, and interrelate effectively when encountering cultural differences. Global competency enables individuals to reduce risk and maximize opportunities while achieving results in culturally complex situations. As the cutting-edge assessment tools provide individualized data on measures of global competency, personalized coaching and mentoring become possible for not only corporate executives, leaders of international organizations, but also for the young generation in the undergraduate population. Some leading business schools such as Columbia University, University of Chicago, University of Maryland, and Arizona State University, have already begun to use these developmental tools in their masters and executive classes. At GSU, Professor Leigh Anne Liu has been working with the GPMBA and MIB programs on global competency assessments since 2011. The Spring 2017 pilot project has already demonstrated that undergraduate students have the potential to develop new competencies and possess ample learning capacity to improve their global competency. Why a Global Competency Certificate Offering for RCB Students? Addresses Goal Three of GSU Strategic Plan: “to develop leaders who engage the societal context of global markets.” In addition, in terms of RCB’s Advancing Vision 2020, it meets Objective 2, Strategy 2 – to unleash the creative drive of our diverse student body where learners explore, experience, and develop their ability to achieve successful outcomes and demonstrate doing so before they graduate through curricular and co-curricular programming; and Goal 2, Strategy 3 – to provide programs to develop achievement-oriented business leaders who understand the need to engage both the market and societal context in which their firms operate. The GCC provides the opportunity for RCB to emerge as a leader among all business schools. 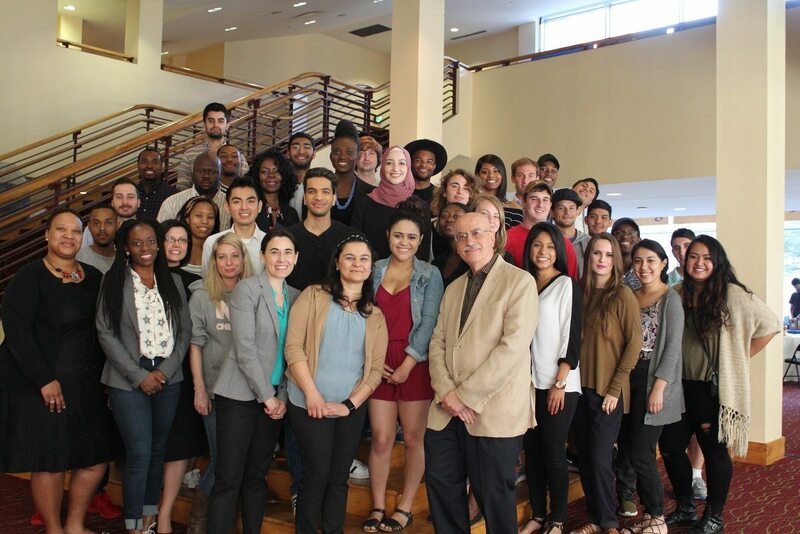 The Spring 2017 semester pilot was built into an elective course on international business — IB 3090, International Business Operations, and taught by Dr. Ilke Kardes. The GCC content was well integrated into the IB 3090 course topics (for a copy of the syllabus used, please contact GSU CIBER). The implementation of the certificate included a portfolio of online modules designed to impart knowledge, mindset, and skills required for today’s talent base – global competence. 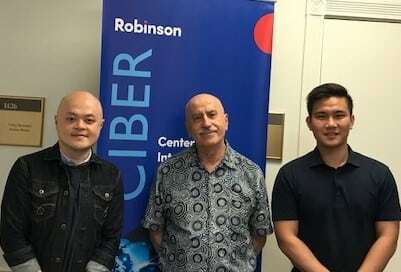 For this purpose, after reviewing numerous assessment tools, the GSU CIBER team chose the online modules offered by Aperian Global and Global Smart. The Intercultural Effectiveness Scale (IES) is judged to possess the most psychometric rigor and suitability for our target undergraduate participants. The online platform, Aperian Global, is one of the largest providers of global talent development and learning solutions with offices in the U.S., China, Denmark, France, India, Japan, Singapore, and Thailand. To qualify for the Global Competence Certificate (GCC) at the end of the semester, all 45 students enrolled in IB 3090 completed a variety of assignments. These included: the GCC Quiz, GCC Homework, GCC intercultural effectiveness scale, online pre-test & post-test, and GCC personal development report: initial & final. The completion of these assignments complimented the IB 3090 course objectives. Throughout the Spring 2017 semester, four guest speakers invited to share their insights on global competency with the students. The guest speakers included: Tamer Cavusgil and Leigh Anne Liu, Georgia State University; Mr. Ahmet Bozer, President International, & Executive Vice President Coca-Cola Co. (Ret. ); and Mr. Rahim Charania, Chief Executive Officer of American Fueling Systems (AFS). Some of the guest speakers were also present at the GCC Recognition and Celebration event held at the Rialto Center on April 14, 2017. 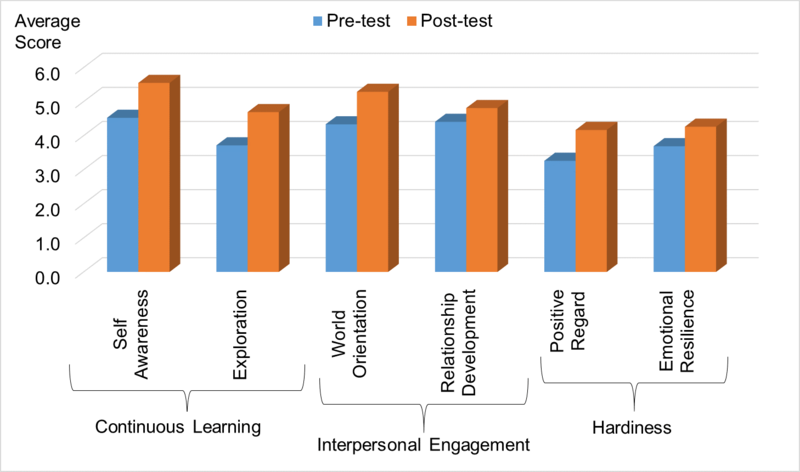 GCC Intercultural Effectiveness Scale (IES) Pre-Test & Post-Test: The Intercultural Effectiveness Scale was developed “to evaluate the competencies critical to interacting effectively with people who are from cultures other than our own. Pre-and post- measurements are for changes in intercultural competencies.” There are 54 questions. After the students completed GCC Intercultural Effectiveness Scale (IES) Online Pre-test & Post-test and submit it, the system created a 24-page report in pdf-format. GCC Personal Development Report: Initial & Final: The report, discussed in the previous step, creates a profile which includes one’s personal strengths and weaknesses based on the following dimensions: Continuous Learning (Self-Awareness & Exploration), Interpersonal Engagement (World Orientation & Relationship Development), Hardiness (Positive Regard & Emotional Resilience). Students followed the following steps in completing the report. Assessment: Determine which of the IES dimensions is your weakest, most urgent to change, and/or most important for your career. Which one are you most motivated to develop? General Plans: List a few broad objectives to help you focus your efforts. Set a deadline by which you will accomplish these plans. Tactics: These are the concrete “how to’s” that help you achieve your general plan. 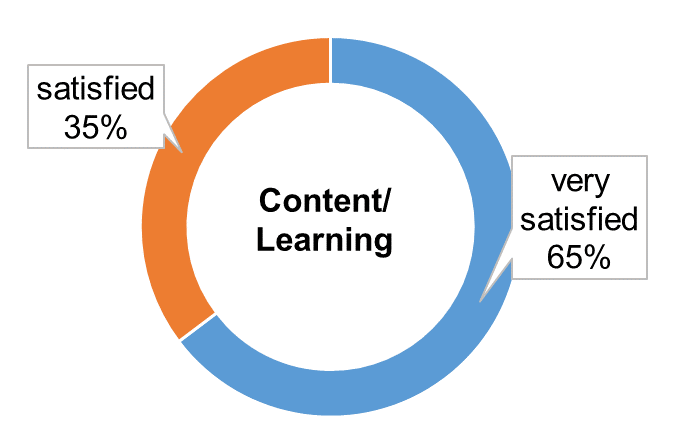 Tactics need to be measurable. Pick tactics you can accomplish (not too easy, but not too hard). We learn best when real effort is required. 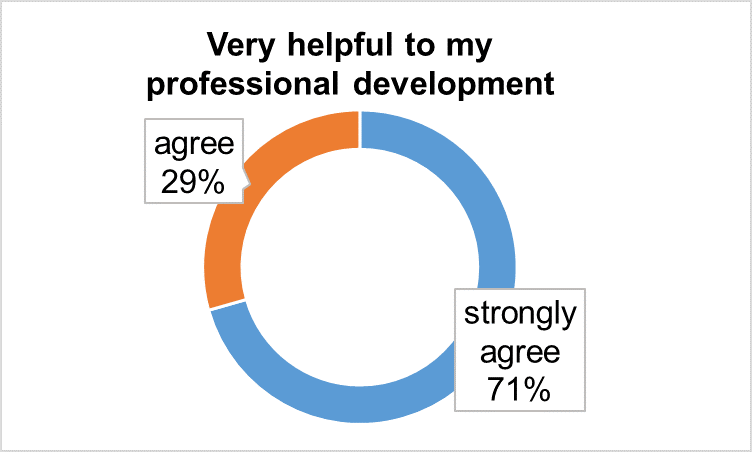 Reporting Results: Results are better when we tell others about our plan. Without this accountability, it is too easy to fail to follow through. Find someone who will help by holding you accountable in a positive way, and decide when and how you will report to them. GCC Country Briefing: The students prepared powerpoint slides about the world region assigned to them by the instructor. All specific information on regions is available online at the GlobeSmart Country Paths developed by Aperian Global. Based on these resources that include videos, reports, and stories, students submitted briefings on leadership styles, communication styles, core values, and implications for business about their chosen country. 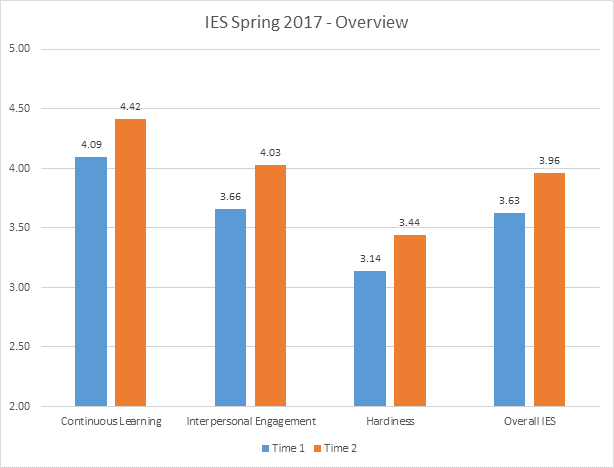 As apparent from several charts appended to this report, the average score of the students on individual dimensions of the IES improved significantly between January to April 2017. The GCC modules were an excellent resource. I learned so much about cultures and how to adjust especially in the workforce. I enjoyed the class discussions that sparked interesting discussions about how diverse cultures carry on business. The GCC experience helped me highlight my strengths and weaknesses. This aided me in interviews with potential job offers in companies. I learned more about my region assigned by using the information on the site. It helped me understand the differences and similarities of my region in comparison to U.S. business styles. The initial and final assignments allowed me to reflect on my growth from my first day of class until now. I most liked the survey because as I gained a better perspective to relate to others and their culture. It helped me to think about my current work environment and the different cultures of my co-workers. I really enjoyed the surveys. It really opened my eyes to understand myself in a way I did not know. I was able to work on certain things like opening to others from other cultures. 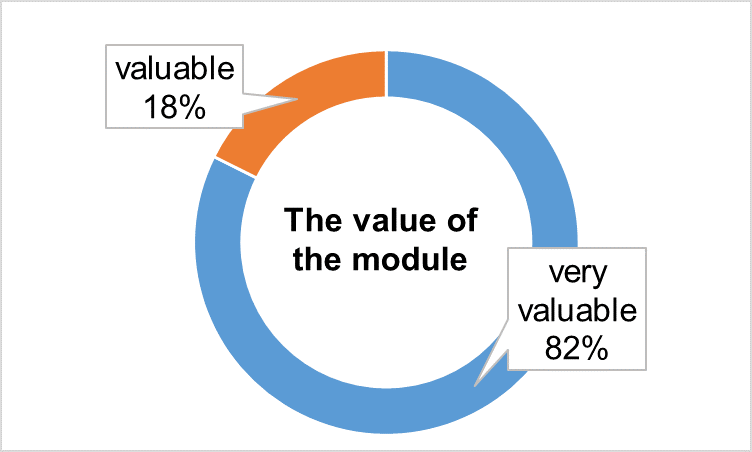 The GCC modules explained in depth about the countries and peaked my interest to research and learn more. Thoroughly enjoyed discovering new cultures and ways to improve my attitude towards. Please have every RCB student take this course and advantage of the GCC. I highly recommend it. The speakers who came to speak to us about global competency knowledge and skills were a lot of help. I am glad that I took the class and everyone should take it in business. This was a great course and great opportunity; I appreciated everything the instructor has done for us! I thought it was very useful and should continue to be used in other business courses. The certificate is definitely a positive considering that we live in a global economy. 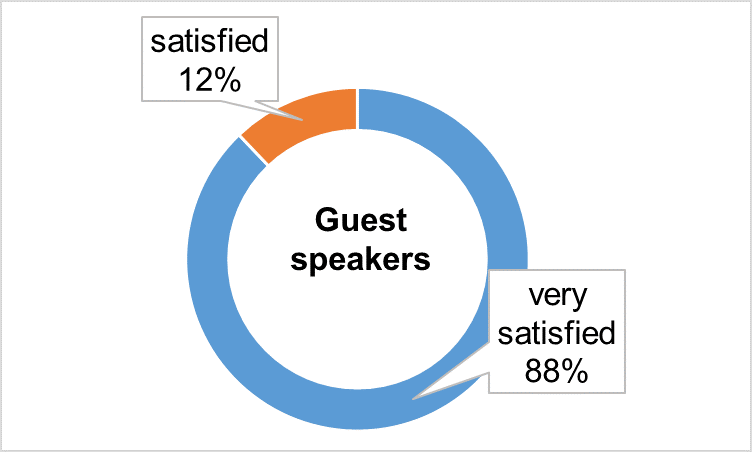 One suggestion would be to bring international speakers to offer a first-hand account of their experiences. This is an amazing course recommended for everyone. Thank you for the opportunity! I would suggest any student take advantage of this wonderful certificate because you’ll get to know so much about yourself, so much about other countries and other cultures, and other political systems around the world. It’s really great to meet people outside of your comfort zone and get to know yourself a little better. What I learned most about this class wasn’t even about the business aspect of it, but it was trying to just get you to be a people person and be relatable; to see the other side of what people are thinking and see that both of you guys have cultural differences and you can find some common ground in that. This class was very eye-opening about other cultures even though I’ve lived in other countries. I wasn’t aware of my culture as compared to other cultures. So learning how other people do the same things I do in different ways was very, very interesting. Great learning tool for the students and it is clear that all benefitted from the pilot. Robinson continues to lead with innovative teaching methods. This is an outstanding initiative. -Eric Joiner, Vice Chairman and Co-Founder (Ret.) of AJC International Inc. Superb initiative. We have been advocating for this for a long time. This is desperately needed in the workforce. Congratulations Tamer Hocam and team on this great and much needed initiative. As an alumnus, this makes me particularly happy. -Seda Palaz Pazarbasi, Director of Sparkling Research & Insights at Coca-Cola Co. Always available to help in this visionary effort anytime. GSU CIBER is prepared to make the GCC modules available to instructors, programs, and groups of students in the future. 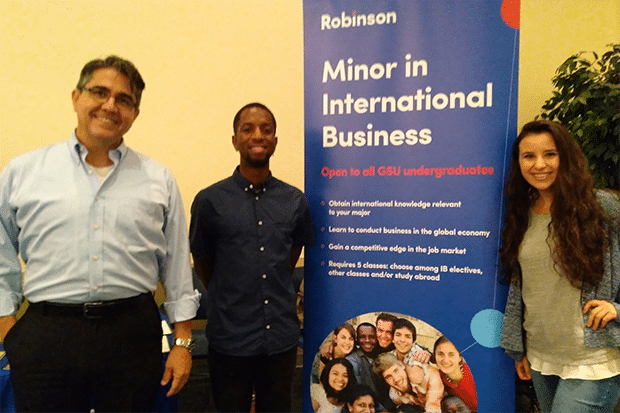 During Fall semester 2017, we plan to continue the GCC program with undergraduate international business classes taught by Mourad Dahkli. Interest was shown from, and we had discussions with, the Women Lead Program, RCB Honors Program, Global Studies Institute, as well as the Global Scholars Program at the Office of International Initiatives. All showed interest in collaborating and integrating the GCC as part of their curricula. 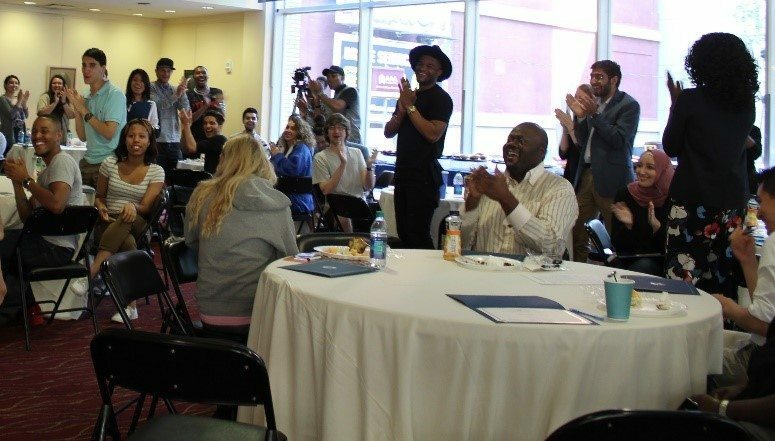 GSU CIBER is committed to continue to build our capacity to serve a broader pool of students. GCC Initiative is a project of the Georgia State University CIBER. S. Tamer Cavusgil and Farrah Bernardino serve as overall project directors. Professor Leigh Anne Liu serves as cross-cultural competency expert, and Dr. Ilke Kardes served as course instructor and took the lead in integrating the GCC modules into her IB 3090 course during 2017 Spring semester.